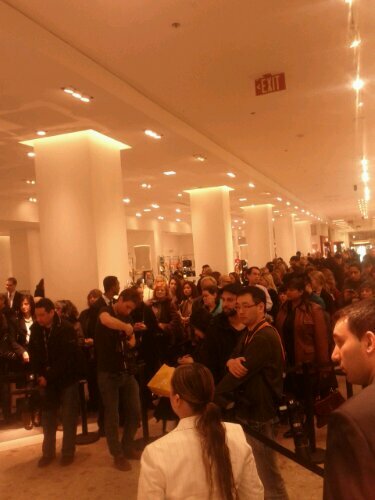 With much fanfare to launch her new line, Ivanka Trump made an appearance at The Bay at Eaton Centre in downtown Toronto on March 6th, 2012 with a brief introduction by Bonnie Brooks. Brooks mentioned that Ivanka Trump is the Vice President of The Bay itself and that the collection is affordable with handbags and shoes at $150. The lineup to get Ivanka Trump’s autograph was long with priority given to those who made a Ivanka Trump merchandise purchase of $75 or more.